There's 15 comments so far. Last comment was posted 16 hours, 15 minutes ago. The last bit of snow has melted, and the temperatures have begun their gradual climb into spring, where it will no doubt get cold and snow again. But in hopes that winter has finally averted its icy gaze, I have begun to stock up on rum. Just like food, cocktails seem to situate themselves with the season. As hard as I try to enjoy a gin and tonic in the winter or a Rob Roy in the summer, I can never get past just one. So for this recipe comparison, we’ll just pretend that it’s a balmy 85°F outside, and hope that spring has truly arrived. 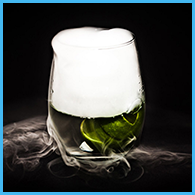 Shake with ice and strain into a glass filled with crushed ice. Drink with a straw (this applies to most recipes here). The lime juice was very prominent here, almost where I couldn’t distinguish between the rums. The orgeat taste was nearly absent as well. While not bad, I was dreaming of something more balanced. 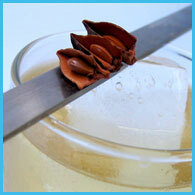 Shake with ice and strain into an old-fashioned glass filled with ice. (This is the only recipe that did not specify crushed or shaved ice. I really had high hopes for Dale’s recipe; I thought the reduced lime juice and extra sweetness would allow the rum and orgeat to come to the forefront. I got a little more of what I was looking for, but the lime juice still just smacked you. Now don’t get me wrong, both of these drinks are good. I just wasn’t finding the complexity I had imagined. Ahhh… now we’re getting somewhere. The balance of lime, rum, and orgeat was near perfect. I missed the taste of the Jamaican rum, but so far Gary’s has won me over. Wow, adding grenadine and falernum to the mix… and including the most lime juice out of any recipe. But again, the lime juice fought for dominance of the drink. I could get hints of the new ingredients though, so I have hope for this recipe. As much as I wanted to try the recipe in Trader Vic’s Bartender’s Guide revised, I did not have any Martinique rum on hand, and according to Dale’s description in his book, I thought I’d be missing something by substituting. I will wager, though, that since his recipe include a whole lime (even if it’s a small one) that I will have similiar comments. For those that are interested, the recipe also calls for 1/2oz orange curacao, 1/4oz rock candy syrup, 1/4oz orgeat, and 2oz of Trader Vic’s Mai Tai rum or 1oz dark Jamaican rum and 1oz Martinique rum. The experimentation began. I took Gary and David’s recipes and molded them together, grabbing the Jamaican rum from Gary’s and the extra 1/4oz of orgeat from David’s. I opted for the curacao too, as I generally prefer curacao to triple sec. The result? The Jamaican rum came through nicely, but the orgeat added too much sweetness to the drink. Luckily, this recipe comparison has spanned a few days, but I am still feeling lime fatigue- I believe that I shall save Mai Tai experimentation for another post. As for a final verdict, I would put Gary’s recipe at the top of the pile. 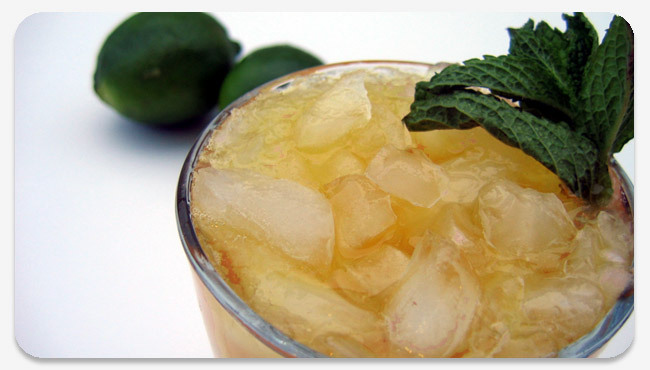 What’s your favorite Mai Tai recipe? I believe Trader Vic originally used a 17-year-old rum from Wray & Nephew (or maybe Lemon Hart–can’t recall offhand), then once stocks were depleted (mainly due to the popularity of mai tais), he began sourcing his own, ultimately winding up with the 1 oz Martinique rum and 1 oz dark Jamaican that’s now printed as his recipe in Beachbum Berry’s Grog Log, simply because it was the easiest and most cost-effective way to approximate the original flavor he found using the nice, aged rum. Me? I use Appleton V/X, which makes a servicable mai tai, though I’ve also made it with Appleton Extra (for about twice the price), which makes a superb drink. As compared to Dale’s recipe, Vic’s original tones back the curacao a bit and brings up the orgeat, which gives the drink a more ethereal character, I think (I use Torani or Monin orgeat–I don’t know how they relate flavorwise with Fee’s). And by using just a bit more lime juice–slightly more than 1 oz–and adding the 1/8 oz rock candy syrup (just simple syrup with a drop of vanilla extract) you wind up with a more traditional tropical drink, something that still has a tart edge, but is softened by all the different sweeteners working their magic in different ways. Anyway, this is the recipe I’ve always been pleased with–once I get my hands on some white Martinique rum (damn these state-operated liquor stores), I’ll give Vic’s later manifestation a go. I was recently able to acquire some Martinique rum (St. James Rhum Vieux Agricole) and finished making my first batch of homemade orgeat syrup following Darcy’s recipe. I followed my favorite recipe from above (Gary’s), and replaced the light Puerto Rican with the Martinique and the Fee Brother’s orgeat with homemade. I’m going to have to forcibly stop myself from making one of these every day, for if I don’t, I will never write about anything again. I have not had Torani or Monin orgeat, but making it yourself is easily 2-3x better than Fee Brothers. Thanks Darcy! I noticed in The Gentleman’s Companion that he calls for a good bit of rose water when making orgeat – that could be interesting. Darcy, I wonder how important the 2nd (or 3rd) heating/sitting for 15min really is? The water didn’t taste much different after the 2nd time to me. The third press isn’t that important, it’s more for economy then anything else. I’m glad you like the “homemade” orgeat. Fresh is best, plus it allows you to control things a little better. I’ve never tried it with rosewater, but I have a bottle of it, so maybe I need another bottle of orgeat sitting on the counter. I really need to build a home bar, too many more bottles and my wife is going to kill me. My bottles seem to be overtaking my very small cabinet as well; they have sort of started to grow under it as well. I wonder how important even the second press is. Have you ever made it with just one? Pound almonds very fine, first adding the orange flower water to keep from oiling. Then add rose water and spring water and rub through a fine sieve until the almonds are dry. No sugar, huh? Later in the book he says the following: “One of the needed bar flavours, compounded from almonds, orange-flower water, and sugar… Every well stocked bar must have it; small bars ignore it.” So I’m guessing he just forgot the sugar in the normal recipe. I’m sure you could extrapolate from your own as to the correct amount. Orgeat wouldn’t be orgeat without sugar. From my chemistry background, making orgeat is just a simple extraction of the water soluable oils. In the lab, the standard is three “washes” to completet the extraction, but at home you can probably get away with one. One trick might be to add 2oz of vodka to the water and then soak the almonds. The ethanol will help extract some of the oils that are not soluable in water. DO NOT SUBSTITUTE any of the brand specific ingredients and you will not be sorry! This is the best I’ve ever had and believe me, I’ve had many. Shake well with ice and strain into an old fashioned glass filled with ice. Garnish with mint sprint and a wedge of lime. Hakalugi is right on the money , it took me a while to track down the St James but it is well worth it. Hands down the best and even better with the Appleton 21 year rum. I recently had the “original ” at Trader Vics ATL and it is nearly identical in taste to the one above – i actually prefer the one i made! I like my Trader Vic’s 60th Anniversary Mai Tai glass. Recipe right on the side! Yes, 17 yr old J.Wray & Nephew Jamaican. Anyone try Ron Zacapa aged rums from Guatemala? They have a 17 YO and a wonderful 23 YO. How thy would work in a Mai Tai would be interesting. I’m in New York state and these rums are available here for a very fair price. Orgeat should only be used if you make it yourself. Find the time to find a good recipe. The commercially available orgeat is full of corn syrup, colorings and artificial additives – the very last things I want in a drink of mine. I use Amaretto if out of Orgeat. Great substitute with all the almond flavor. 1 oz. aged white rum, 1 oz aged dark rum, 1/2 oz. of Cointreau, 1/2 oz. Amaretto, 1/2 oz. homemade simple syrup, muddle two or three mint leaves in the simple syrup, shake in ice, pour and garnish with 1/2 a lime shell and fresh mint sprig. Good mixing and better drinking! I just happened by this evening– I’ve been a bit out of the cocktail loop for the past several months due to over-work, but certain ingredients intrigue me, and I like to check up on them in the blogosphere from time to time. After a fair amount of research, I determined that these cane sugar, natural-ingredients-only syrups were the only way to go. I tracked them down in my metro area (Minneapolis-St. Paul) at a coffee wholesaler, and have gone through several bottles of each, between my house and gifts for pals (and my husband guzzling the “grenade” as a soft drink while I’m out of town). I’ve been avoiding corn syrup for a couple of years (a great hobby– and an excellent dieting tool). The orgeat is divine, and contains NO HFCS or other nasty ingredients. I’ve never been served a Mai-Tai to compare with my own, which is much like Wondrich’s above, except using more orgeat instead of the simple syrup. Hard to imagine why anyone would hurl whatever fruit juices they’ve got on hand into a glass of rum and call it a Mai-Tai when the real thing is so simple, and so perfect. Having sampled three grenadines side by side (shockingly wretched Rose’s, slightly less horrid Fee’s American Beauty, and Routin 1883 Grenade), I can tell you that even without comparing it to its poisonous competitors, Routin is absolutely delicious and addictive. It was all I could do not to eat/drink it by the spoonful when I first opened a bottle. It’s fruitier than you’d think fruit could ever be… yet natural-tasting. It’s REAL! I went through a lot of Jack Rose cocktails when I first got the bottle.